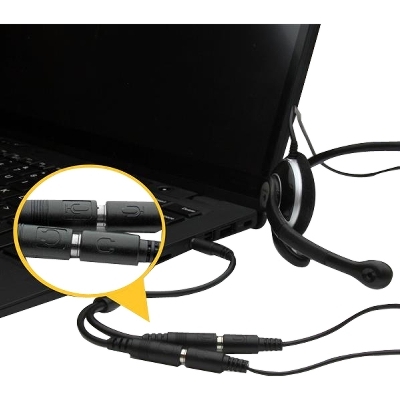 The MUYHSMFF headset adapter features two 3.5mm 3-position ports that provide a separate headphone and microphone connection that can be connected to the single audio port on your laptop. 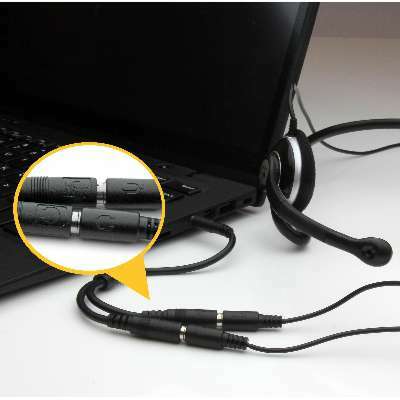 Alternatively, you can also connect a separate microphone and powered speakers if you prefer to use Skype or chat online without using a headset. Are you travelling for work or taking a trip? This high quality 3.5mm headset adapter is backed by StarTech.com's lifetime warranty. 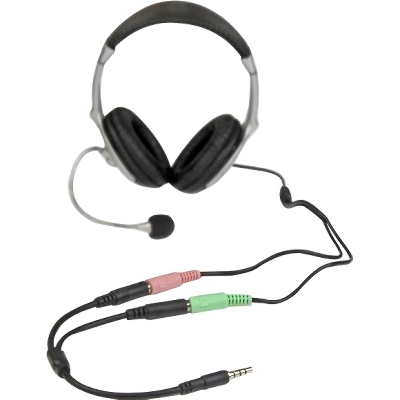 Some laptops and mobile devices will not work with all external microphones. This is typically caused by an impedance mismatch between the microphone and the device. This is due to hardware incompatibility and is not a limitation of the MUYHSMFF adapter. Shop with confidence! Provantage is an authorized StarTech.com dealer.